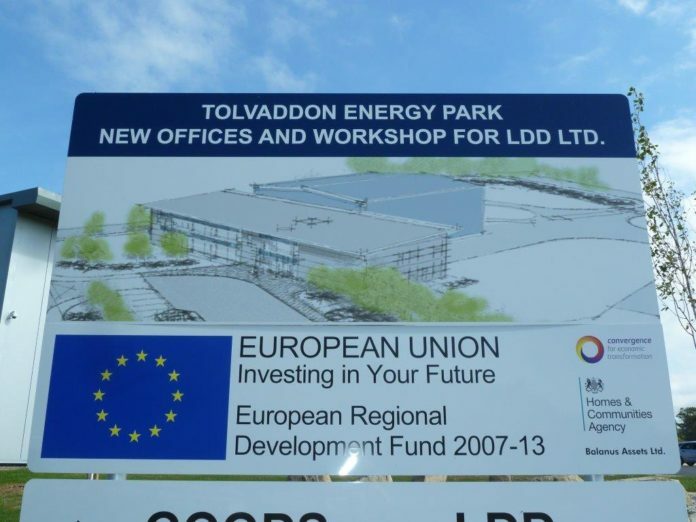 Large Diameter Drilling (LDD) has officially moved into its new £3.5 million premises on the Tolvaddon Energy Park. LDD, which provides specialist marine and subsea foundation installation services, has enjoyed rapid growth since being founded in 2007, boasting a turnover in excess of £77 million. It struggled, however, to find suitable premises after outgrowing its original base in Rosemanowes Quarry, Herniss, and was aided by £1.8 million of Convergence funding.